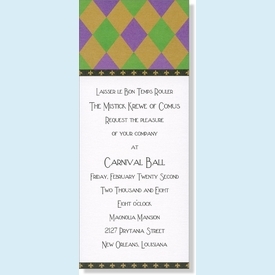 Elegant tall card with symmetrical harlequin design speaks of a mardi gras or carnevale theme party. 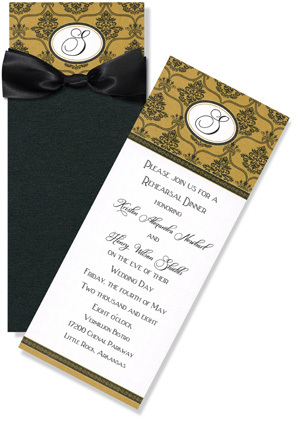 Printed on 100# shimmery cardstock and comes with coordinating pearl envelope. NOTE: Only 3 sets left!